For the world’s favourite fabric, choose cotton. It’s easy to see why this material has always been so popular – comfortable and breathable, people love to wear it. That’s why it makes such a great choice for promotional t-shirts. 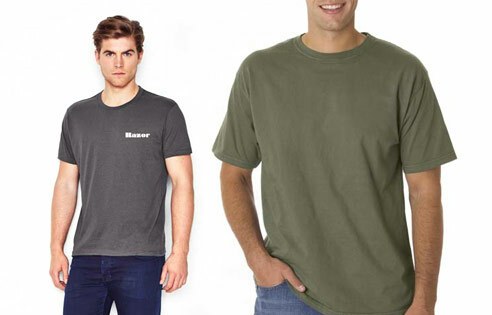 Whether you’re printing new staff tops or investing in giveaways to attract new clients, let Novel Tees create the perfect branded cotton t-shirts for your business. While not all businesses can wear cotton singlets, if you’re in the health or fitness industry, prepare to see your brand thrive. 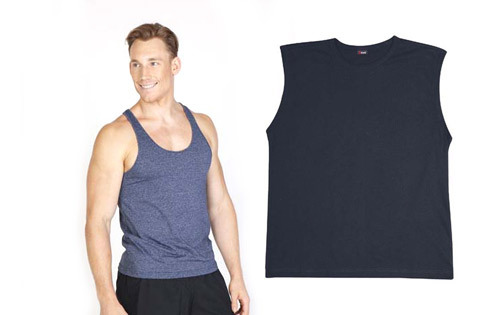 Show off your muscles and keep cool – and help your customers to do the same – by investing in quality promotional cotton singlets. With a range of men’s, women’s and children’s sizes in many different cuts and colours, Novel Tees cotton Singlets could be just what your business needs. If you’re in the health and fitness industry, then there can be no denying the impact that a branded CoolDry t-shirt can have on your business. Whether your staff or customers are wearing them whilst working out or playing sport, they will stay dry and comfortable all day – thanks to moisture wicking fabric. With a huge range cuts and colours in men’s, women’s and children’s sizes, it’s easy to find personalised CoolDry t-shirts for your brand. For those in the health and fitness industry, custom CoolDry singlets are the perfect choice – designed with moisture wicking technology to draw sweat away from your customers skin. This keeps them dry and comfortable whilst they workout, something which they will definitely thank you for. 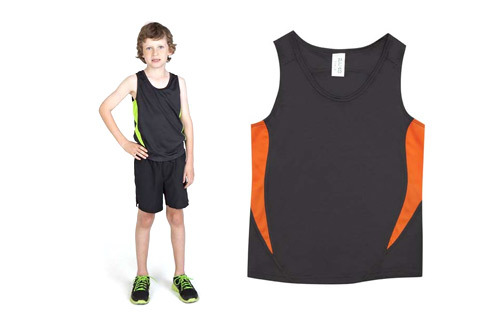 Browse Novel Tees huge range of CoolDry Singlets to find the perfect top for your brand. Known for premium fabrics and striking colours, AS Colour t-shirts and singlets have a reputation for being comfortable and hardwearing. No matter what your industry, printed tops from AS Colour are the perfect way to advertise your business. That’s why Novel Tees is proud to be a stockist of such a quality brand – invest in your AS Colour t-shirts and singlets today. It’s no surprise that printed promotional t shirts and tops have always seen such huge levels of popularity. Clean and classic, corporate t-shirts are easy to customise, so you can get the exposure that your business needs. With an extensive selection of promotional t shirts available, it’s easy to find a style that suits your business and needs. 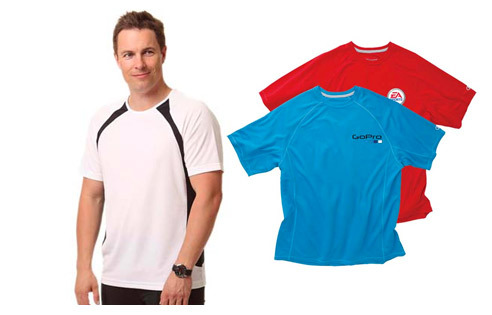 From singlets to printed t shirts, corporate tops to workout tees, we have something for everyone. In terms of fit, we offer long sleeve, short sleeve, muscle tee and singlet, crew neck, v neck, boat neck, regular, slim and loose fit, and a whole range of other cuts that you can mix and match to your preference. 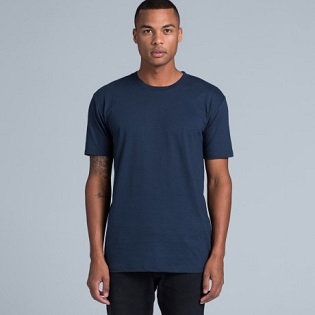 We even stock promotional tees from big brand names, including Gildan, CoolDry and AS Colour. A huge range of branded t shirts won’t be enough to provide your business with an excellent marketing tool – you need to couple them with the experts in custom printing t shirts. With over 16 years’ experience, we’ve developed a fail proof ordering system, allowing you to access the highest quality, cheap promotional t shirts every time. Our in depth understanding of brand promotion applies to all business, no matter what your industry. To ensure your success, it’s critical that you create printed or embroidered tee shirts that reflect your brand. We pride ourselves on our creativity, offering an avenue for designing cheap promotional t shirts that are unique to your business. So much more than simply having your logo embroidered on t-shirts or your business name printed on tops, you can choose everything from cut and colour to the design itself – your tops will be completely one of a kind. We have options to suit the whole family – our printed and embroidered tee shirts and singlets come in men’s, women’s and children’s sizes, from infants to teens. This means you can use them as part of your uniform, you can kit out your children’s sporting team, and you can even provide t-shirts for kindergartens and playgroups! No matter who you’re hoping to dress, our promotional tees in NZ are the best choice. We’re proud to offer our promotional t-shirts New Zealand wide. As we deliver across the country, our custom t-shirts are available in Northland, Auckland, Hamilton, Wellington, Christchurch – and everywhere in between.